Exterior Painting Services: Quality Finishes Say it All! Painting whether it’s interior or exterior not only boosts the value of property but also freshen the look of your house or building. As professional painting experts, we understand how seasonal changes and harsh weather make the building surface dull and worn results in deterioration property value. Whereas a professional touch of paint can transform the look and feel of your property from in and out making you fall in love with your space. Tetra Construction serving all five boroughs of New York City Manhattan, Queens, the Bronx,Staten Island, Brooklyn and surrounding areas with specialize residential exterior painting services. If you want to restore appearance of your residential structure, add finishing touch to your exterior with Tetra’s residential painters. We offer complete custom painting from clean up to preparation and surface finishing. All of our work fully insured and certified ensuring you the peace of mind that you are consulting to a professional company. Our professional painting crew can easily understand the requirements of any commercial structure making painting process hassle free. Keeping in mind the specific needs of commercial buildings, work environment and tenant needs we assist you in creating brand new look. We use only quality paint products to create long lasting finishing. 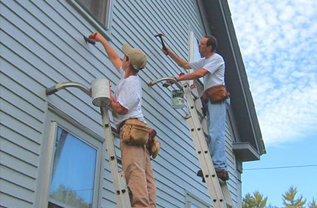 Tetra Construction is interior and exterior painting contractors in Tri-State Area serving residential, commercial, educational, hospitality, healthcare and restoration project of home owners, co-ops departments/ condominiums, property managers etc. We work with latest tools and equipments, professional painters and experience home remodelers ensuring exceptional exterior finish. We committed to excellence in craftsmanship and services. Thinking about Painting? Call us today 1-718- 600-8484; schedule a meeting with Tetra Construction painting expert and create sensational appealing exterior of your house or building.